This has got to be my favorite one of the group! Thanks for all the great scans! thank you so much for all the scans. yey! i like how they put the two syaorans here. Aww... this one is really cute. I love the two Syaorans, especially the one that's playing with Kurogane's ears. Fay looks spiffy as well. Gotta love him! I love this picture of them all! They're all so cute, I like it especially since it for my birth month. This is really cute! I really love that both syaorans are in their. Especially since they're both acting much more normal and happier, too. Instead of depressed or serious like how one is now and how one will be if he comes back, considering his personality and what happened. But this is really great. The colors and detail are amazing. The humor is good and the theme is great. Ad it really feels like a happy memory. OMG! i love this pic! :D thanx! Ahahaha! What a hilarious picture! 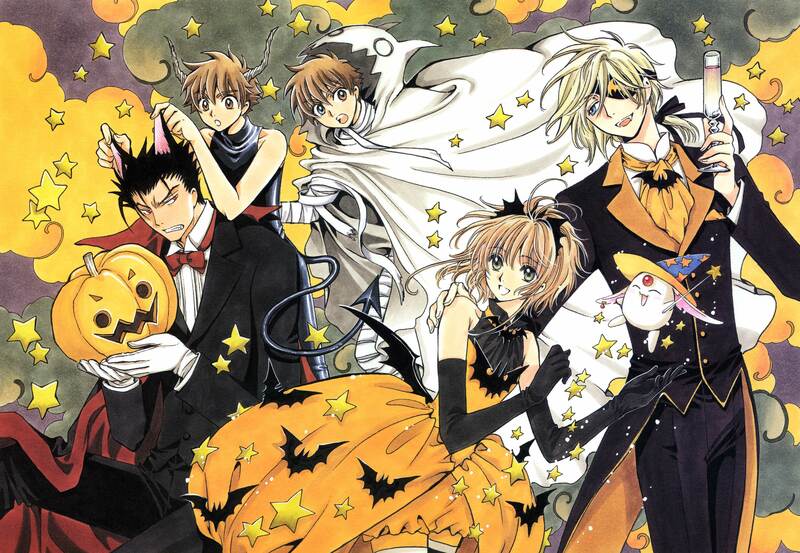 Syaoran pulling on Kurogane's ears! Woot! LOVE IT! And of course, totally makes sense that Fai is a vampire. I just LOVE that both Syaoran's are there though, that's very nice! Awesome post!